You Can Run a Marathon! 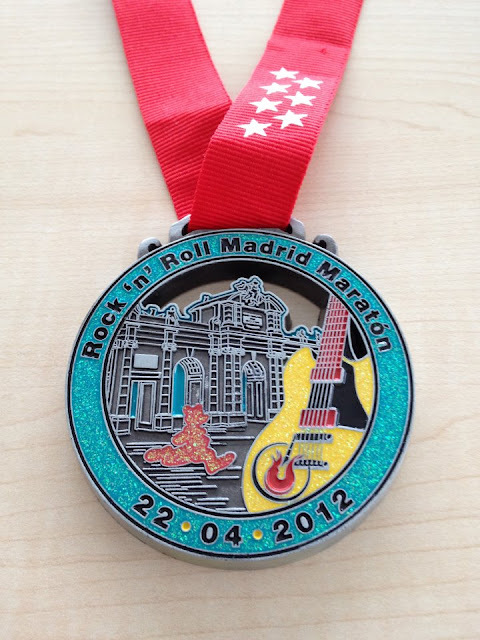 : Rock 'n' Roll Madrid Marathon Medal!! I love it!!! And can't wait to wear it!! I'm so excited now :-) This is such a nice medal and will certainly help me on my way to the finish line! is that a bear running? Yes it's a bear running!